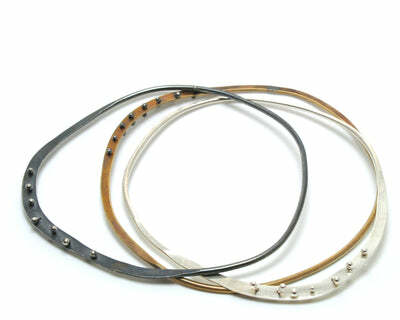 Industrial silver bangles with tiny silver rivets along the entire circle. 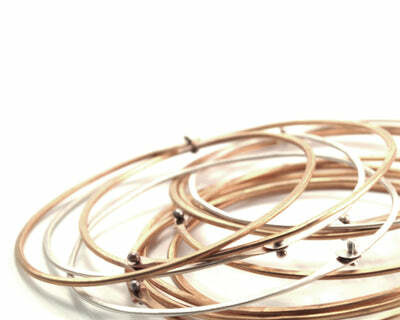 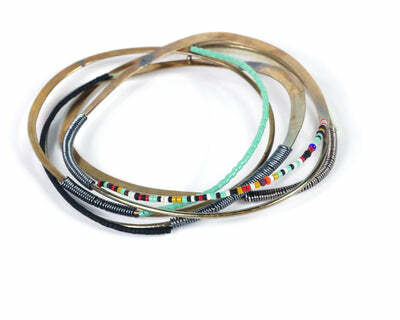 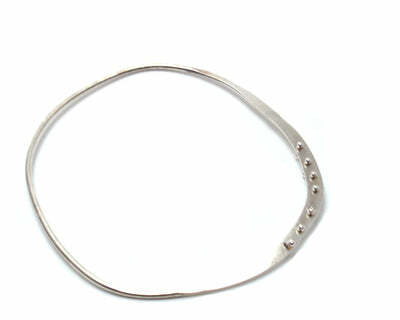 The rivets move adding a fun kinetic quality to the bangle. 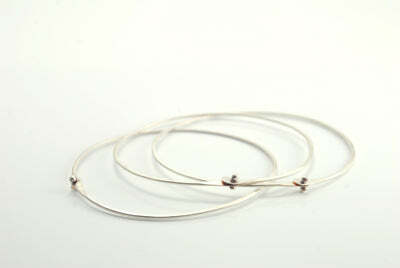 The bangle is handmade of sterling silver.